Sale! Miniature Paintings on Stones - at $29.95 - 59.95! Sale! Museum Quality Art Gifts! Sale! 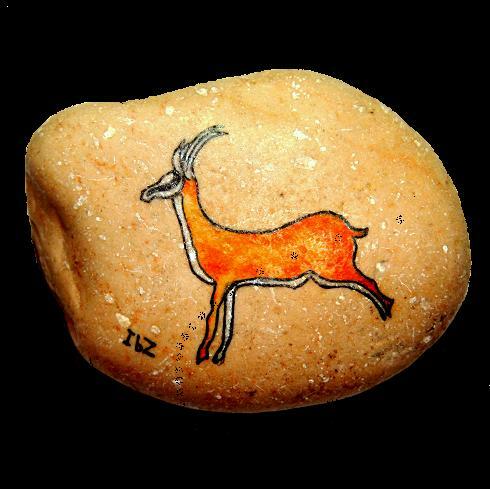 IRENE BAT-ZVI’s elaborate miniature paintings are produced mostly on beach pebbles, sometimes on small stones and ceramic pieces, polished by the sea and collected by the artist on the seashore. Skillfully drawn, delicately colored images are inspired by motifs and styles of rock paintings, great ancient civilizations, archaic tribal and rural folk art from all over the world. Natural beauty of the stones and original hand-made designs that represent eternal symbols and icons common to the humankind - all together create a phenomenon of unparalleled charm. These small masterpieces appear to emanate positive energy that links you to the collective treasure of the sacred symbols of the universe and to the common historic and cultural heritage of us all. Each of these fine craft objects is one of a kind, with signature and catalogue number. Specially designed for these objects, a unique display stand provides the stone with an outstanding museum aura, separating the stones from the mundane surrounding. 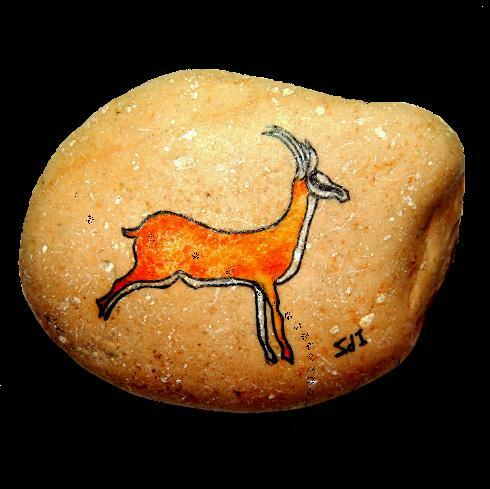 The Artist, Irene Bat-Zvi, uses her own technique of painting on stones, including semitransparent layers of watercolor, pencils and pastels, a special kind of pen, and permanent ink, fixative and sealer. Such a technique produces intricately detailed, amazingly precise images, but leaves untouched the natural beauty of the stone’s shape, color and texture. The stone itself becomes an object of art, not just the raw material for a painted image. Copyright © 2008-2012 Irene Bat-Zvi. All rights reserved.